BRAND NEW piece by PB&J! 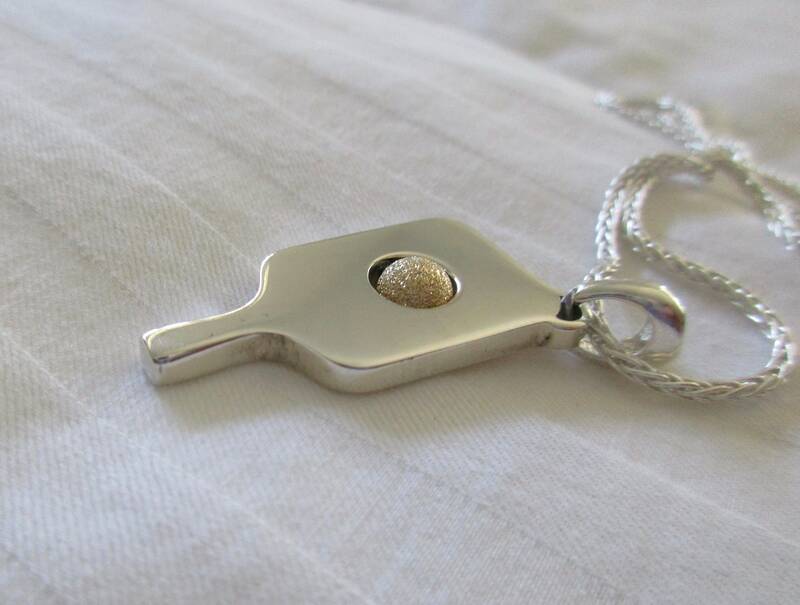 We took our mega paddle and built in a 14K Gold Stardust ball that spins inside a gorgeous Sterling Silver pickleball paddle. This piece has heft and is beautifully crafted with precision and care to detail. 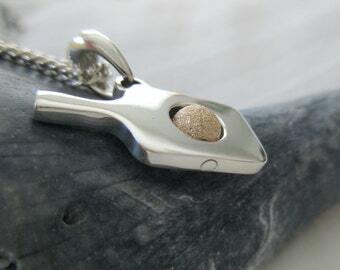 A Sterling Silver bail is attached for your chain. 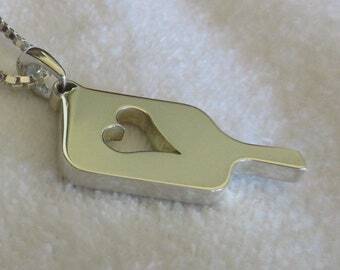 You may purchase the pendant alone or with your choice of a 1.6mm Sterling Silver wheat chain. Your choice of 16", 18" or 20". 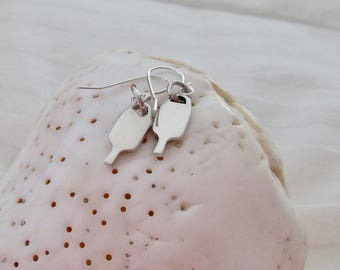 As with all jewelry from PB&J, you will be proud to wear any of our pieces and feel confident that it is hand-made in America. 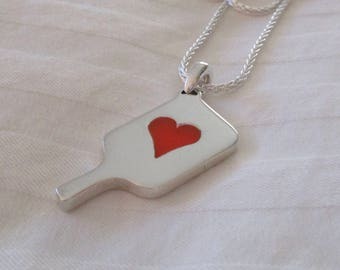 Please ask any questions that will help you to choose that special pieces, for you or that special pickleball friend. Your gift will be sent in a purple velvet pouch. 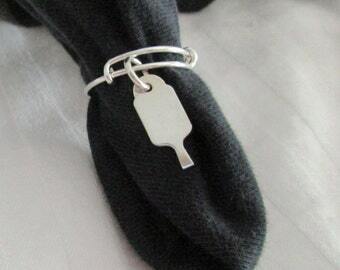 If you wish a personal card with it, please select gift wrap and let me know how to word it. Viola! 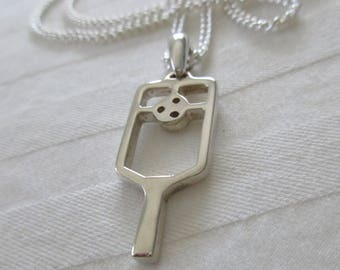 I got this as a gift. My friend loved it!! 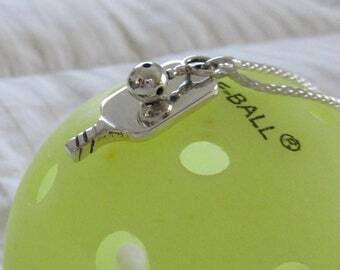 The weight of the necklace and the pickle ball were perfect. Quick delivery. All around great experience! 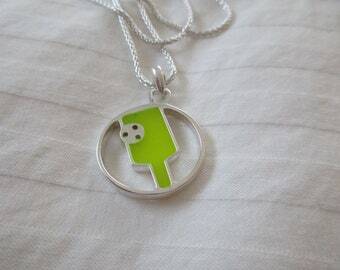 I ordered the larger of the two pendants and necklaces and am thrilled with the quality and design. 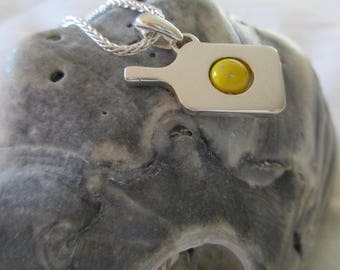 I have been looking for a long time for a pendant that was stylish and reasonably priced. Shipping was timely and packaging protected the product. 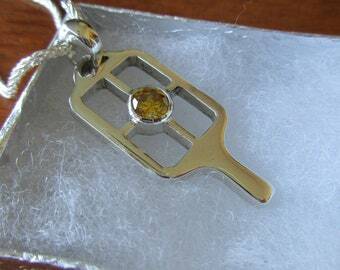 I am thrilled and have received many compliments on this jewelry. I am happy to recommend this designer and plan to order again. Jewelry is meant to be taken off before bedtime. 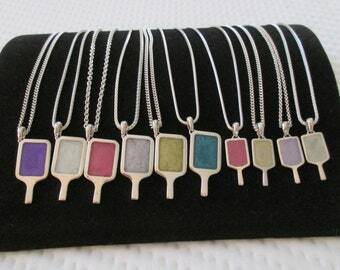 If you play in (I certainly do) or workout in your jewelry, feel free to shower with it on. The water will remove the salt from sweat. 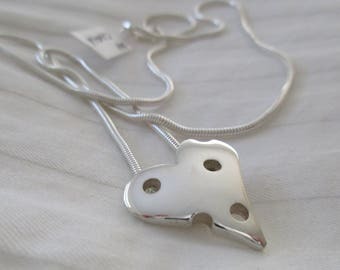 Sterling silver is a soft metal that can be damaged if abused. 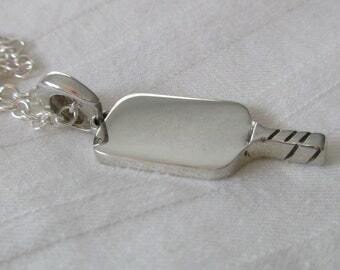 Gentle polishing with a soft cloth made for Sterling silver will keep your item looking shiny and new!